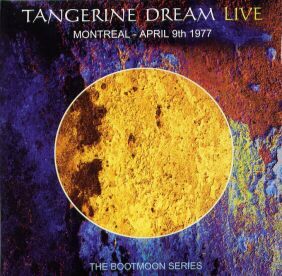 The material on this album is identical to Tangerine Tree Volume 18: Montreal 1977, but by mistake the second disc of this album in fact contains the music intended for the second disc of Aachen - January 21st 1981, and vice versa. Corrected replacement discs were provided later by the record company. The track listing above displays the tracks featured in the corrected set. Another error occurred by featuring the Fifth Movement (here misspelled Fived Movement) twice on the CD.